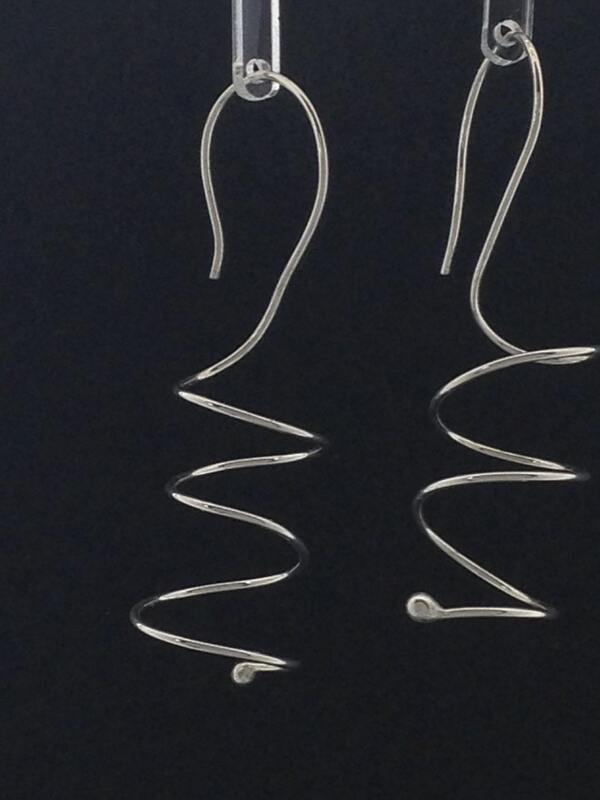 Argentium sterling silver spiral earrings with balled end. 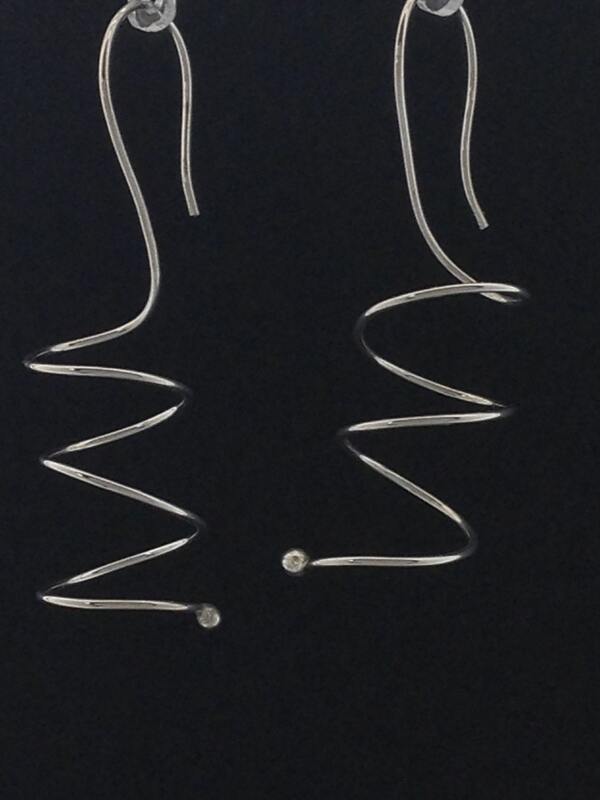 These silver earrings are Argentium silver which means they are very tarnish resistant. They contain more fine silver than sterling silver but instead of copper (which is the other metal in sterling to make it durable,) Argentium metal contains tin (which does not tarnish as much as sterling silver). 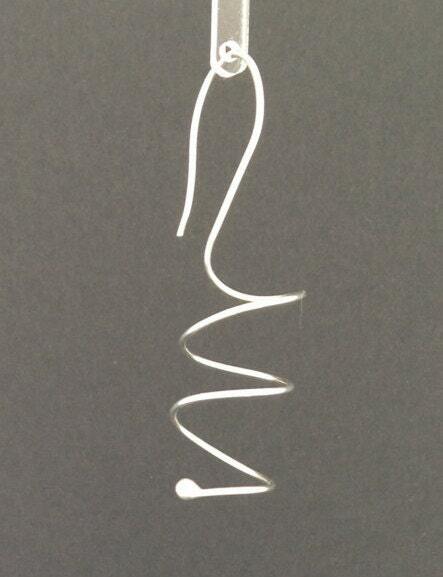 By torch firing the end of the wire, I formed a small silver ball on the end of each earring. 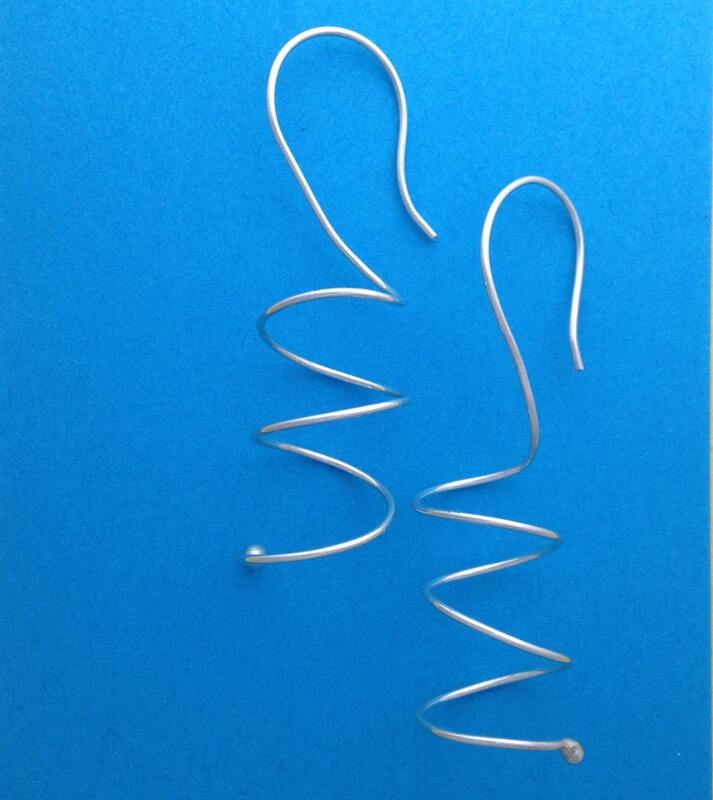 Each earring is fabricated using one piece of wire. They are easy to insert into your ears; and once in, you forget you're wearing them! Using semi-hard 19 gauge wire and a rawhide hammer, I work hardened each ear wire, insuring it holds its shape. 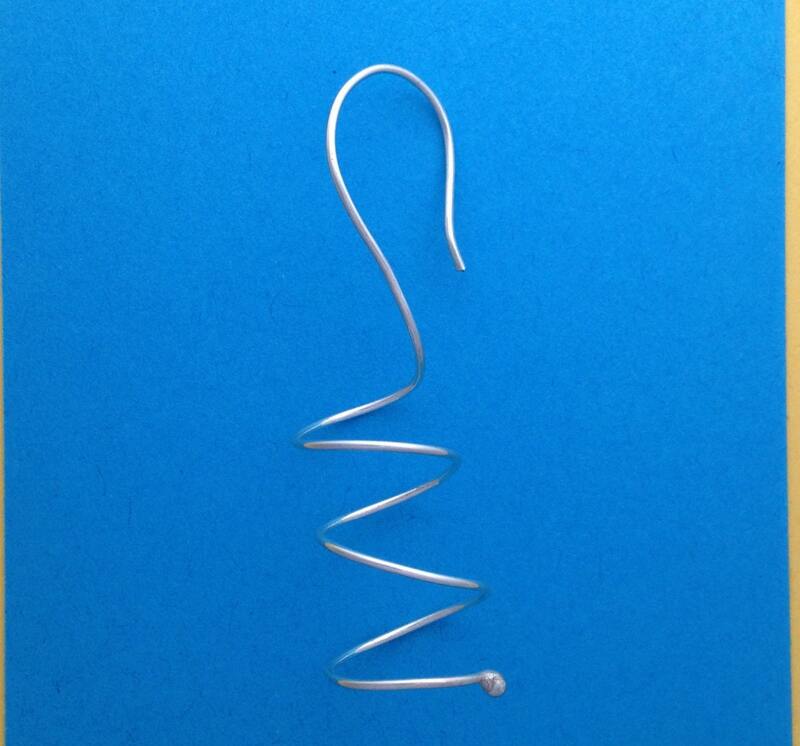 Each earring measures 2 3/4" in length. I guarantee you'll get lots of compliments on your new earrings! If you ask I will include clear rubber ear nuts used to make sure you won't accidentally lose an earring. I've also included a clear plastic bag with an anti tarnish strip. Be sure you don't leave your earrings in the bathroom where they may get exposed to humidity and oxidize. Take them out in your bedroom, immediately placing them in the anti tarnish plastic bag.